Eric Wagner will give a talk on "The Eight Circuit Model of Consciousness" developed by Timothy Leary and Robert Anton Wilson and discussed in many of Wilson's writings (notably, in Prometheus Rising.) 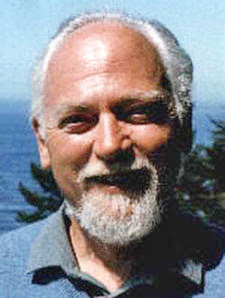 His talk will be from 10 a.m. to 1 p.m. on Sept. 15 at The Learning Light Foundation, 1212 East Lincoln Avenue, Anaheim, Calif. Eric is the author of An Insider's Guide to Robert Anton Wilson, still available from Amazon and other outlets. Information on Eric's upcoming online course at Maybe Logic Academy is here. Thanks for the shout out. I look forward to the talk. I also plan to give a free half hour talk at the Learning Light's Holistic Fair on Saturday, Sep. 8, at 2:00. I read a bit of Prometheus Rising (2nd ed.) last night. He says that the typical human of 1997 will seem obsolete in 2007. This makes me think of fogeys like me complaining about teens texting all the time and obsessing about tweeting and Facebook, etc.